Each year, the FCU Entrepreneurship Education and Development Center sponsors the Feng Chia Business District Entrepreneurship Competition. The winner of the competition wins NT$30,000, a trophy, and three months of rent-free shop space in the Feng Chia Shopping District where they can sell their product. Last year’s winner sold handmade sock dolls. She won the competition because her products were creative and because they were popular in the female market. This year’s winner has will not be chosen until the end of March. People who would like to participate in this competition should organize a group. In each group, more than half of the members must be college students. The competition is separated into two types – real shops and online shops. 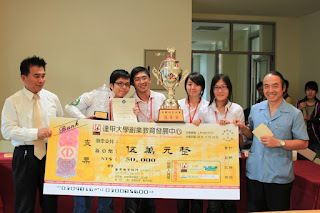 Feng Chia university teachers and members of the Feng Chia Shopping District Association are the competition judges. How do the participants prepare for the Feng Chia District Entrepreneurship Competition? The leader of each group registers to participate and submits the group’s business plan to the FCU Entrepreneurship Education and Development Center for the preliminary competition. 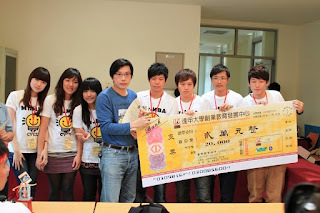 Participants who are successful in the preliminary competition then attend training camp for competitors. This year, the camp was held on February 18. The main activity in this year’s competition camp was a class on writing business plans. Participants learned how to write a more perfect business plan. During the camp, many successful entrepreneurs also shared their experiences with the participants. Before the final competition, each group had to send a more detailed business plan to the FCU Entrepreneurship Education and Development Center and prepare a poster and a presentation. This year’s final competition will be held on March 24 (Saturday). 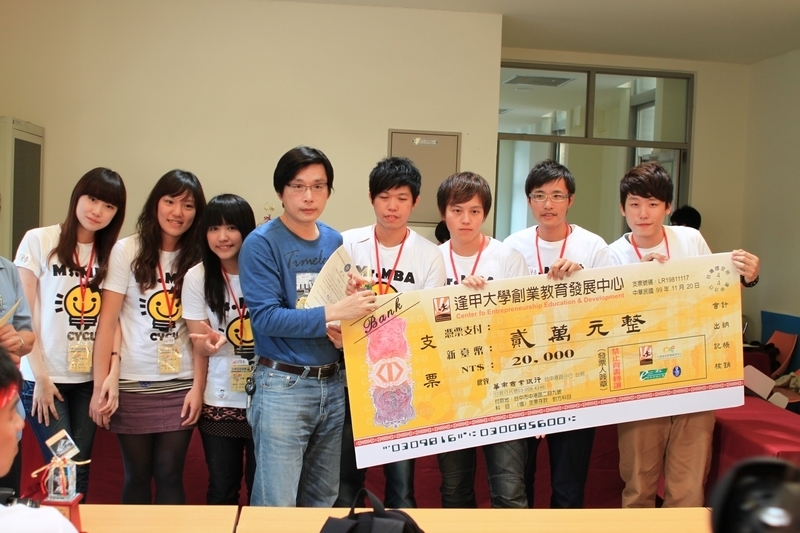 Many teams will exhibit their products. Participants will grade each other, and the competition judges will also grade each team. If you are interested, come visit the exhibition and see which group’s product you think will win. The exhibit will be held in FCU’s Jung Chin Building, Room B-1 from 10:00 to 16:00; the winners will be announced at the conclusion of the exhibition.